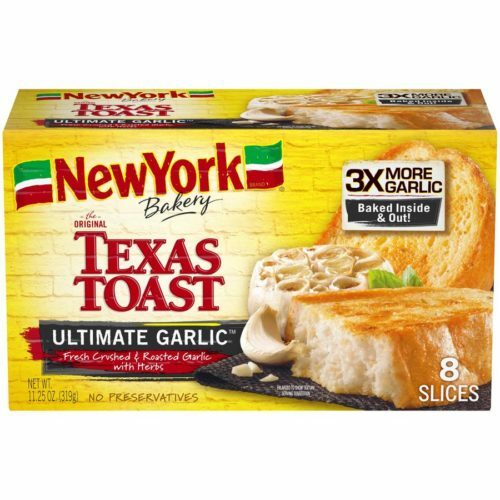 New York Bakery® Ultimate Garlic Texas Toast 11.25 oz is priced at $2.99 each. There is a $1.00/1 New York Bakery® Ultimate Garlic Texas Toast coupon. You can get New York Bakery® Ultimate Garlic Texas Toast ONLY $1.99 after offers.